Don’t have three whole minutes to read my article? I got your back, here is a 30 second version. 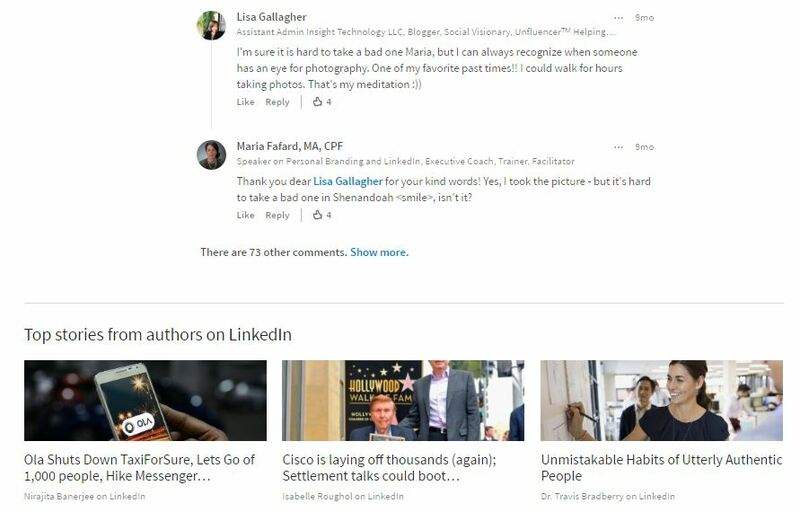 With an introduction of a new LinkedIn publisher page, your most recent LinkedIn blog posts are automatically advertised at the bottom of all your LinkedIn articles. This is good news for driving up your viewership and engagement. Make sure you publish at least four articles on LinkedIn in order to take advantage of this feature. This is a pretty standard practice in a blogging universe. WordPress is engaging in it (and you will notice 3 blog posts recommended at the bottom of the article you are currently reading); as a matter of fact, LinkedIn used to do this as well a couple of years ago. So why is this a big deal and why do I use grandiose language such as ‘a thrilling development’, you ask? Be patient, my children. 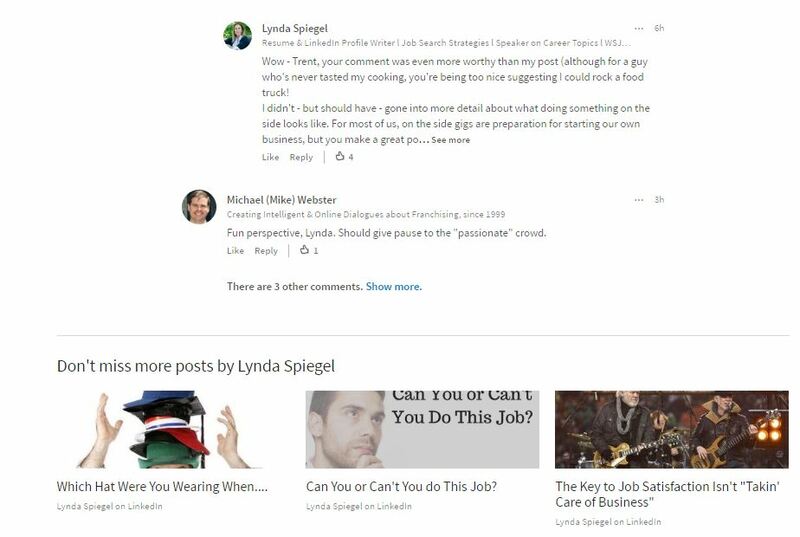 As you can tell, as you reached the end of Lynda’s blog post, old LinkedIn publisher simply moved on to an article by Nirajita Banerjee, Associate News Editor at LinkedIn, at the bottom of Lynda’s post; as well as provided a list of other posts on the left hand side of it. In other words, old page structure guided readers to posts by LinkedIn Influencers’ and LinkedIn employees as well as posts that have been featured on LinkedIn Pulse. For the last couple of years, this situation was a point of contention in LinkedIn universe, as LinkedIn bloggers didn’t feel supported enough on a platform that drove readership to Influencers’ posts and away from mere mortals’. And of course, controversial manipulation of publishing notifications by a mysterious LinkedIn algorithm didn’t help either. Writing and publishing articles and watching them disappear into the abyss of low viewership naturally didn’t thrill anyone. LinkedIn bloggers engaged in a variety of labor intensive workarounds such as manually including intricate calls to action at the bottom of each of their posts, providing links to their other articles. 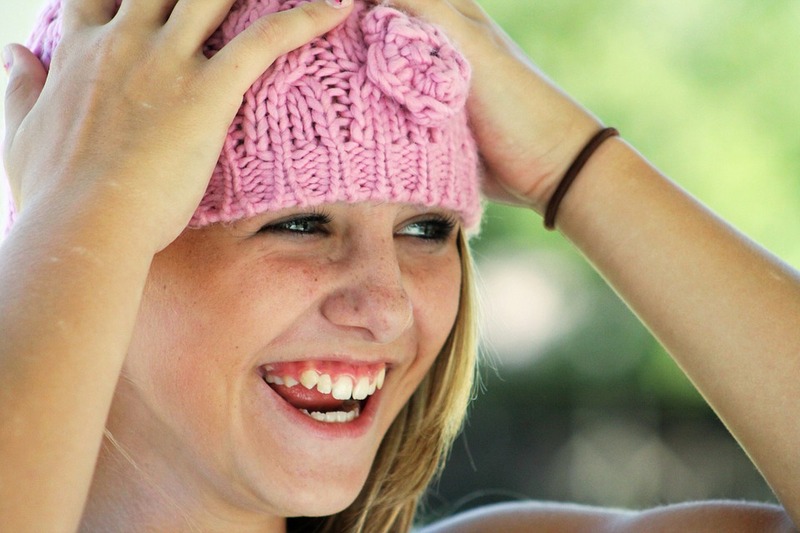 Now that we reviewed our old LinkedIn publisher page, what can we say about a new one? 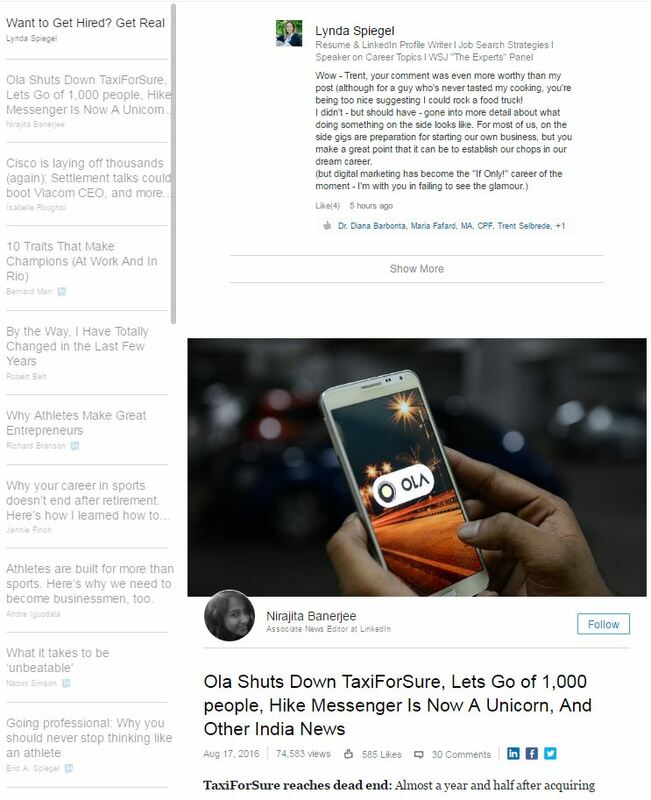 The new page is a significant improvement for LinkedIn bloggers comparatively to the old one. The new page structure drives readers to more posts by you, making it easier for the reader to engage with more of your content. Manual inclusion of links to your other articles is not as necessary any more, unless you would like to guide your readers to a specific post of yours and it’s not one of your most recent ones. The moment of truth: it turns out you must have more than 3 blog posts published on LinkedIn in order to take advantage of this feature. What happens if you don’t? The announcement at the bottom becomes “Top stories from authors on LinkedIn”. As a blogger, which conclusion of your post would you prefer? Clearly the one that entices your readers to not miss more posts by you. So the takeaway, as you have guessed by now, is to have a minimum of four posts published on LinkedIn. All in all, I celebrate this development as a step in the right direction. Now, if we could only have our publishing notifications back… a girl can dream, can’t she? If not, I need another cappuccino. Great new feature and so happy you’ve introduced me to Lynda! Dear Victoria, thank you for the gift of a comment on WordPress – and I’m thrilled if in an indirect way my humble blog post will lead to you publishing more! Looking forward to many more fantastic articles from you! I really would have loved to see this feature in place when I published a series on Sales Pros. But like the example in the article, it was very easy to simply move on to the next author, and took a few extra steps to see previous posts in the series for those who started reading a few articles in. I’m glad to see LinkedIn recognized this and did something about it!